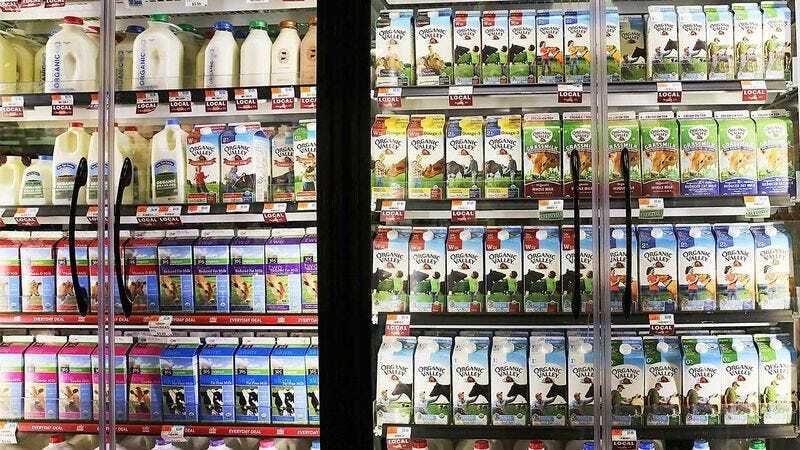 Somehow, you‘ve gotten it in your head that jumping into the milk display at the supermarket is of the utmost importance. You might as well do some real damage, so here are six ways to make that happen. 1. Arrive at the supermarket early: You’re going to want to get to the supermarket pretty much as soon as it opens, assuming you still have no doubts about going through with this. By getting there early, you ensure that you’ll be hurling yourself into a milk display that has been completely stocked and replenished the night before—ideal for creating the mayhem you apparently feel deserves to be unleashed upon your supermarket. 2. Get a running start: On the condition that you cannot live your life without launching yourself into the milk display at the supermarket, get a running start to generate more destructive force. 3. Wear an outfit that has a bunch of sharp objects sticking out of it: It’s possible that a few gallons of milk will explode when your body smashes into them—which is great, for the purposes of what you think you need to do—but it’s not a guarantee. By wearing a homemade full-body outfit covered in sharp objects (thinks pins, or even nails), you’ll be able to puncture a bunch of holes in the milk containers, creating an incredible amount of chaos at the supermarket. Obviously, this outfit will take a lot of work to make, but if you’re really positive that jumping into the milk display is something the world is demanding you do, you should have no hesitation in going for it. 4. Hold a hammer in each hand and whirl your arms around like windmills: Just in case no one has ever said this to you explicitly, you don’t have to go through with this. 5. When jumping, spread your body out like a big X: Upon reaching the climax of this journey—a journey that, for whatever reason, you have deemed unequivocally necessary—you should stretch your body out like a huge X, allowing you to hit as much milk as physically possible. 6. As you walk away, step on a gallon or two: You just absolutely had to do this, so make it worth your while. Get your last licks in and then escape, avoiding the moment when a supermarket security guard finally comes over and stares at you in complete and utter confusion before using his Taser for the first time in his career.